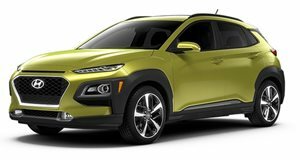 With just over a month until the theatrical release of Avengers: Endgame, Hyundai has announced pricing for the Kona Iron Man Edition revealed last year. The front-wheel-drive model starts at $30,550, whereas the all-wheel-drive model will set you back at least $31,950. Both prices also don’t include the $1,045 freight charges. It isn’t cheap considering the base SE model costs around $10,000 less, but production will likely be limited. Created in partnership with Marvel, the Kona Iron Man Edition sports a matte grey paint with red accents. Unique Iron Man-inspired design elements include LED daytime running lights that resemble Iron Man's eyes, a special V-shaped hood design, an Iron Man decal on the roof, Iron Man center caps on the wheels and Iron Man branding on the rear liftgate. The 18-inch alloy wheels are also exclusive to the Iron Man edition. Inside, the Kona Iron Man Edition adds Tony Stark’s signature to the instrument panel. There’s a special welcome animation for the head-up display, and the infotainment screen also gets a custom Iron Man screen. Contrasting red trim, a unique shift knob, and seat backs with Iron Man branding round off the exterior changes. As for engine options, the Kona Iron Man Edition is only available with a 1.6-liter turbocharged four-cylinder that sends 175 hp through a seven-speed dual-clutch gearbox. Other models are available with a 147-horsepower 2.0-liter motor mated to a six-speed automatic gearbox. This isn’t the first time Hyundai has partnered with Marvel, as a special-edition Veloster made its cinematic debut in Ant Man and The Wasp last year. Unlike the Kona Iron Man Edition, however, it was made exclusively for the movie and wasn’t available to buy. Hyundai says the first Kona Iron Man units are currently arriving at dealerships now.